Once the initial euphoria over a successful conclusion of negotiations over Iran’s nuclear program has worn off, more realistic or even outright pessimistic assessments started appearing among the international experts both on the content of the agreement and its future. Gradually it became clear that certain parties at the negotiations don’t believe that the process of implementation of this agreement is going to be as rosy as it has been portrayed by the international media. 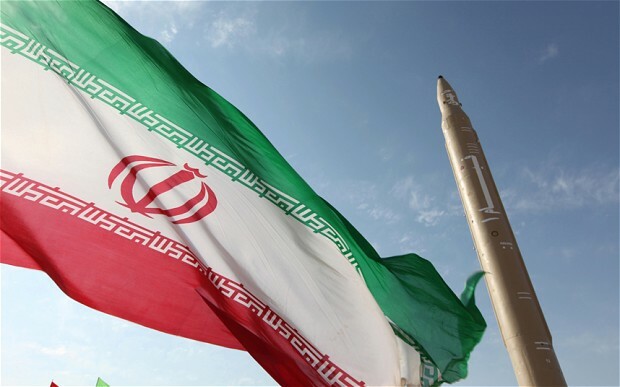 Tehran was confident enough to announce that sanctions will be lifted immediately, as soon as the final agreement is signed on June 30. Meanwhile, the US and the EU had a different opinion on this subject, in their opinion Iran must first deliver on the promises given in Lausanne, namely to put nuclear facilities under the IAEA control, reduce the number of centrifuges for uranium enrichment and abandon the development of ballistic missiles, etc. This means that nothing is going to happen before October, if at all. In addition, the West is not going to withdraw sanctions. In particular, the restrictions on military cooperation have become a source of heated discussions, since immediately after the conclusion of negotiations Russia demanded they be lifted, in hopes that it would be able to deliver modern air defense systems instead of the S-300 systems for up to five battalions that were to be delivered back in 2007. On top of all, the procedure of trade and economic sanctions removal remains puzzling even for Western politicians. Those restrictions that were introduced by the UN Security Council can be decided at a vote, where none of the permanent members of the Council will use its right to veto. But there are sanctions that were imposed on national levels, and they must be dealt with separately both in the EU and US. So at every step the West would have an opportunity to block the Lausanne decisions, under the pretext that Iran will not live up to its promises. And there’s plenty of opportunities for nit-picking remaining as well. The US president does not hide this fact in his statements. Of course, in many ways he may be trying to trick the audience, by reassuring Republicans, Israel and Saudi Arabia that he’s got the matter under control. But there’s a chance that he is looking into this possibility seriously – one can never be certain of America’s position. Indeed, in the course of technical talks while drafting the final agreement the West can try to force Iran into accepting a lot of limitations. The United States went even further than that, by announcing on April 4 that have successfully tested GBU-57 bombs designed to destroy the underground facilities of Iran’s nuclear infrastructure. By its sheer power and destructive force those bombs could be compared to nuclear devices. So Tehran has received a clear message – any step in the wrong direction will be followed by armed conflict. It’s curious that the day before the testing a similar threat was voiced by Israeli Prime Minister Benjamin Netanyahu, who at a special meeting of the Israeli government stated that the Lausanne agreement poses a threat to the national security of the Jewish State. Moreover, during a telephone discussion with Barack Obama, he said that this agreement threatens the very existence of Israel. Similar remarks were also made by Riyadh authorities. In Tehran, too, authorities were far from silent. According to Iran’s Foreign Minister Mohammad Javad Zarif, if the Big Six will not act on its word, Tehran can always return to the further development of its nuclear program. Iranians insist that all sanctions should be lifted immediately without further ado. What can be the outcome of such a discrepancy? It is possible that at some stage Israel, after exhausting every possible opportunity to influence Barack Obama, would eventually launch air strikes on Iranian nuclear facilities, by using Saudi airspace to reach its arch-rival. There’s a high probability that Obama’s initiatives will be blocked by the Republican majority in Congress. Finally, the “cold” conflict between Tehran and the Persian Gulf monarchies could end of the Lausanne agreement. It’s no secret that the Saudi authorities have launched aggression against Yemen under the pretext of fighting “Iranian expansion” in the region. They can spread military aggression likewise to Syria and Iraq, where Iranian influence is evident. But the main part of the Lausanne talks has been kept in secret all along. Parallel to official meetings, Iran and the US were holding close bilateral meetings conducted at the highest levels, and they have been carried out for a long time. Even a year ago, it became clear that negotiations between the US and Iran were kept secret. What were they negotiating? Clearly they had little to do with the Iranian nuclear program. Both sides were pursuing the best possible conditions toward the normalization of relations between Washington and Tehran. In other words, the Americans wanted to understand what they will get from Iran if they agree to withdraw the sanctions. Washington wanted direct access to Iran’s oil and gas resources, which would create preconditions for Iran becoming a leading partner with the US in the region. It’s clear that Iran has every opportunity to change the political map of the Middle East, by promoting strategic cooperation with Washington, which would devalue the role of Israel, Saudi Arabia and Turkey. Because of its potential, Iran can even return to the role that it used to play decades ago. Of course, this will require regime change or the transformation of the existing one, in order to reduce the “religious components.” Therefore, Israel and Saudi Arabia have every reason to be nervous regarding this new rapprochement. Russia should not take this development lightly either, given the fact that over time, Iran will be able to undermine its positions within the European energy markets. There is a feeling that there’s been no clear understanding of this fact, since Moscow pushed Tehran towards this agreement. As for the internal aspect of this agreement, it is a question of clashes between pro-Western liberal forces in Iran and the senior religious leaders of the country led by Ali Khamenei and the IRGC. But it seems that the latter were inclined to yield to the pro-Westerners in exchange for certain guarantees.